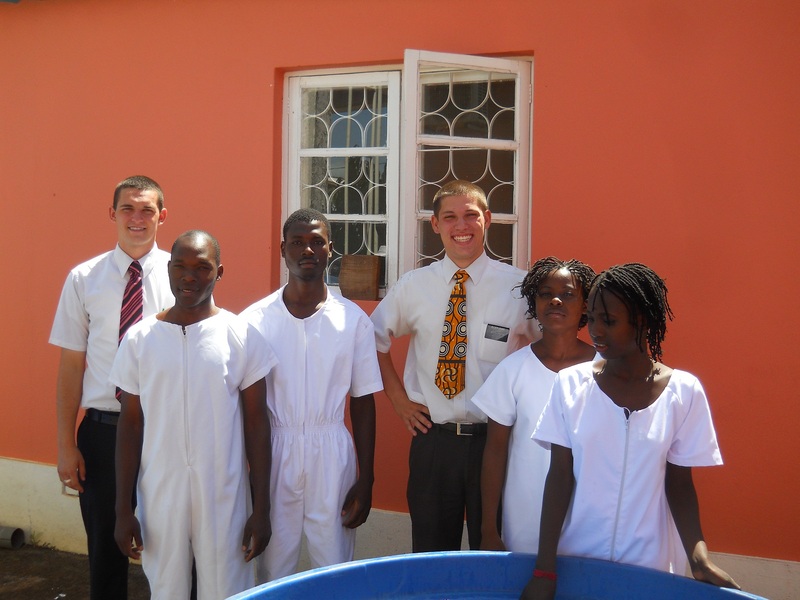 Friday, Elder Jeffs and I went to Beira with the Bankses to go to Zone Leader Council. There wasn’t too much new, but one thing rocked us 😛 The Church is trying to cut back on costs, and so has decided not to send Cabo Verdian or Portuguese missionaries to the Brazil MTC to come to this mission. They will start going to the Madrid, Spain MTC. However, the Madrid MTC only has missionaries from the Lisbon mission, and their transfer schedule is three weeks off from ours. So, the missionary department has asked that we move our transfers by three weeks, to match the new schedule of the Madrid MTC. That means I either come home three weeks early or three weeks late. I have to decide, and haven’t quite gotten there yet. (I still have a few months to decide). I think I might come home early. I have found a huge love for teaching while on the mission, and I want to see if I can keep doing it when I get home. If I remember correctly, Eric Palmer is teaching Seminary, right? I’d love to do that if I could when I get back, although it’s probable the first week or so, I couldn’t be there. But, we’ll see. Anyway. 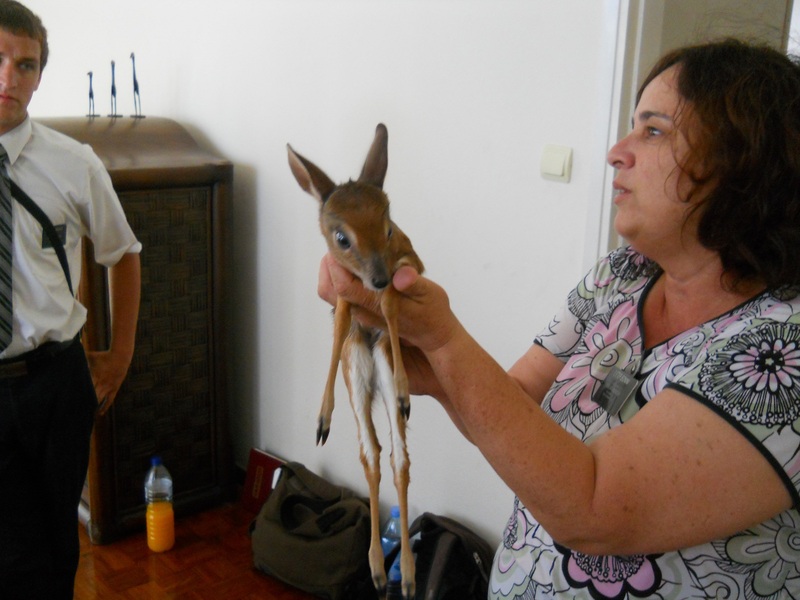 Friday night (after our return trip from Beira), we went to the hospital to see Irmã Cecilia, who is 82! (That’s really old here, where the average death age is about 45). She fell and fractured her hip and broke her foot. So, we tried to pick her up from the hospital. I really don’t like hospitals here. Blegh. But she is at home now, and hopefully doing better. But she can’t really leave her house or bed, so that her body can heal… Well, we’ll see how she does. Saturday, we had baptisms! Elton, Gertrude, and Jessica. Great day 😛 That night, we went to go visit Alexandro, who we hadn’t seen in quite a while. He’s the investigator who we met who had been looking for the true church for 15 years. He was always a bit standoffish, and told us he wouldn’t come to the church until he knew it was the one true church. We talked to him to see if he was reading the Book of Mormon and praying. (It’s been two weeks since we saw him last) He said he’d been reading and praying, and that he knew the Book of Mormon was true. We were so happy! So, we asked him where he was in the Book of Mormon. What? He had read the whole Book of Mormon and the whole Doctrine and Covenants in two weeks. And we’re being challenged as missionaries to read the BoM in 6 weeks… Wow. Pretty sweet. We went back to visit him yesterday, and decided to talk to him about the law of chastity. It’s what usually stops people from being baptized, so we started on it. I love his quote. “It is the duty of every man to marry his wife.” Most people here aren’t married, and when you talk to them about it, they just kind of shrug it off. What a fresh breath of air to talk with Alexandro! I feel so blessed to be here on my mission now. I can see the Lord’s hand in my work, and I’m so grateful He decided to bless us with this opportunity to help Alexandro. 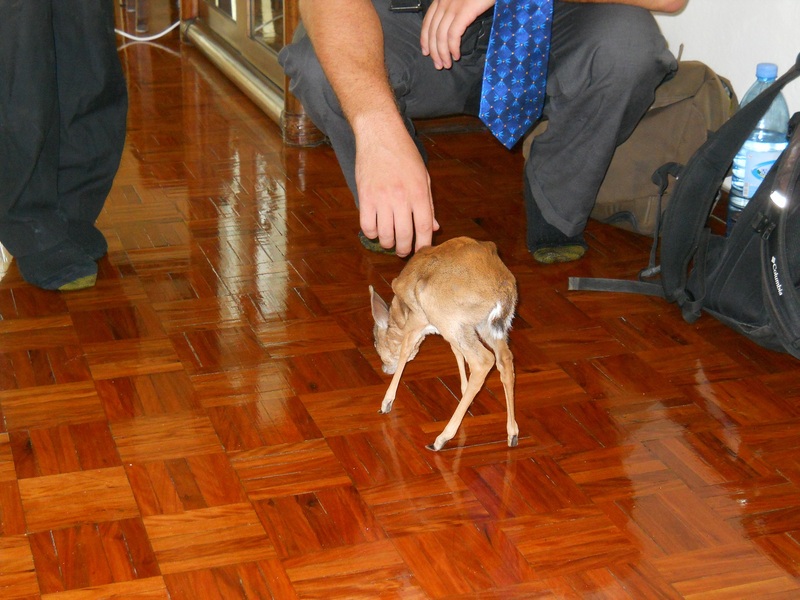 Is that a live fawn?